OK, so it’s been a while since I’ve talked about weddings, but I have been immersing myself in colors for the graphic arts program I just finished. I learned about colors, the ‘science’ colors and their spectrums. Color can insite energy, feelings, and emotions. I know I have discussed before colors and how they play an important role in weddings. People are starting to be more bold with their color choices for their wedding. One palette that I have become fond of is chartreuse, gray, and white. 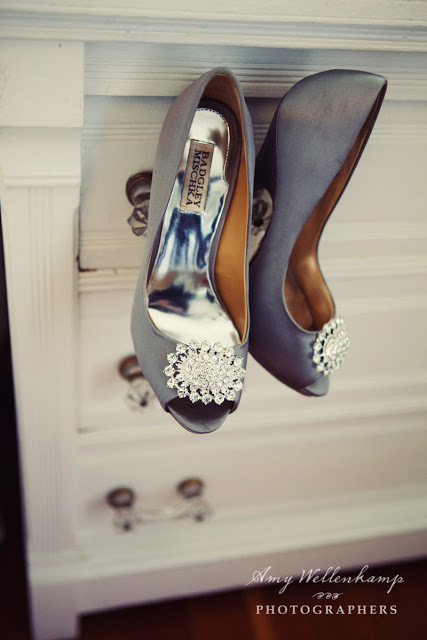 The bright punch of color with two simple colors that go with everything, gray and white. With the summer coming to an end, using a bright pop of color with two simpler subdued colors is like throwing one last summer sunshine in the middle of your wedding. I love pops of color that can shake things up. A bright and fun color added to a wedding will give your special day a little twist. A color like chartreuse is one of those colors that adds a little burst of sunshine to a wedding, an already cheerful day. Adding gray and a simple white palette to such a punch of color will just create a great foundation for the chartreuse. I love the contrast of a bright color with a dark color, or a simple white. The bright color can accent your special day just like you will in a bright chartreuse dress…. Ok, well maybe you don’t want to go that far, but hey live a little. Do something special that represents you and your new spouse. Take a canoe ride between your ceremony and reception, or ride your bike to your reception. 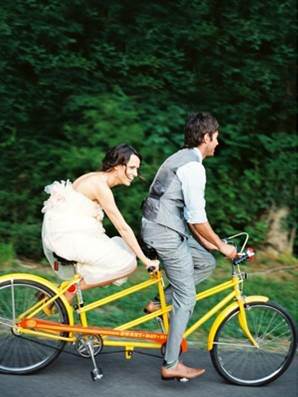 Riding a tandem bike will help pedal you to a beginning of working together. 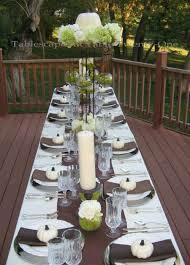 You can also use the food or other elements of your day to infuse color into. 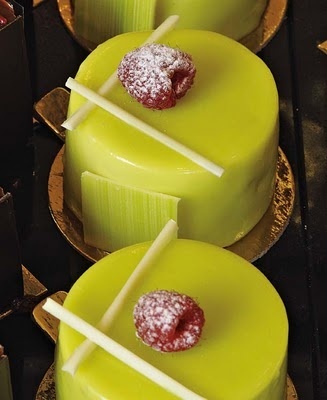 Individual cakes in a bright chartreuse will definitely be a conversation starter with your guests. Wouldn’t a chartreuse cake make you want to say something. If you aren’t going to have a cake or grand 5-tier spectacle, go the simple route with cupcakes. They’re fun, easy to eat, and just plain old economical. Chartreuse icing would definitely be an interesting food experience. So, where you eat also is important. Adding a bright color doesn’t have to be overpowering. You can use the more subdued colors in your palette and take the route of using the bright color as an accent. 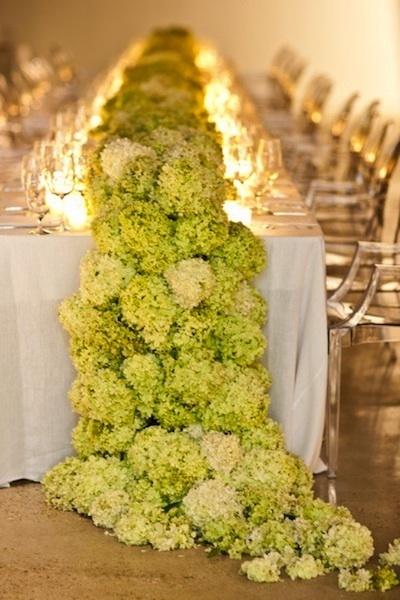 This table focuses on the white and gray, using chartreuse as a pop of color in the centerpieces. How about getting people there. You have to have invitations. Color will definitely get some attention. Be creative in your invites. Give the information plainly and clearly. State the details, the basics, and use a little graphic design in the layout. Try something other than the plain scripted fonts and traditional layout. 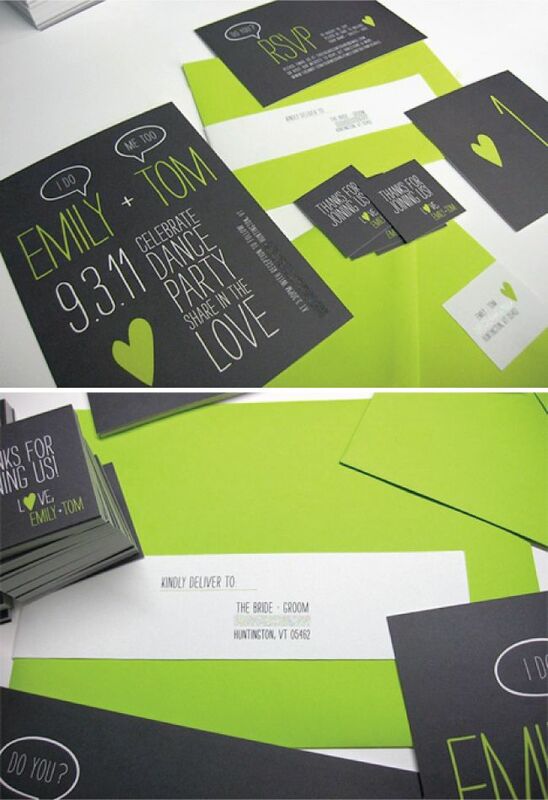 Make sure your invites represent you and your spouse-to-be, your personalities and something fun and eye-catching. Ok, so lastly…the way to get any party going, cocktails. Color can be infused into cocktails/beverages as well. So, in case you didn’t know, there is an actual liqueur called Chartreuse. 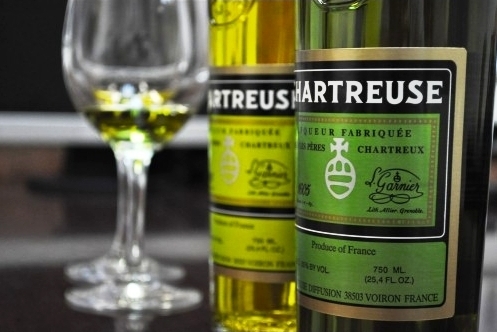 Chartreuse is a French-made liqueur made by Carthusian monks since 1737. It is made of distilled alcohol, aged with a variety of 130 herbs, plants and flowers. The name Chartreuse comes from the name of the monastery, Grande Chartreuse, which is located in the Chartreuse Mountains. It is one of the few liquors that continues to age and improve in the bottle. Chartreuse would be an acquired taste by itself. It tends to be very sweet, and becomes spicy and pungent. 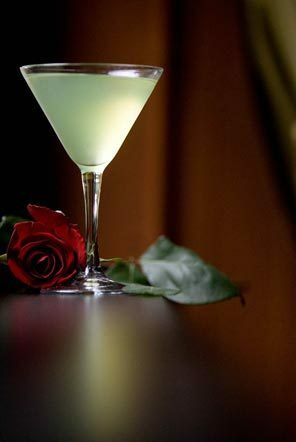 But have no fear, the color of this liqueur (which comes in both yellow and green, as well as a white chartreuse) can add that special touch to your wedding day cocktails. The Last Word cocktail was created back in the time of Prohibition in the lovely city of Detroit. Created by a Vaudeville director at the Detroit Athletic Club during Prohibition, “The Last Word” was essentially forgotten until recent years. It consists of a seamless blend of gin, lime juice, green chartreuse, and maraschino liqueur. Makers of the masterpiece are told to shake well with ice, shut up, and drink. Cliff Bell’s is one of the few places you can imbibe the drink in Detroit. So the next time you’re, out check out Detroit’s very own “The Last Word” and, as the bartenders of old used to say, shut up and drink – because no matter the era, Detroit always has its final say. 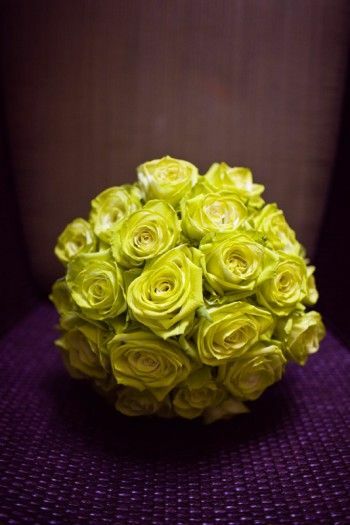 This is a simple way to add a bit of chartreuse literally and visually to your special day. Something classic and timeless, with a little bit of history to it. And with that, however you choose to use color in your special day, enjoy the moment and those around you to share in your moment. Take your shoes off and dance, or keep them on if you have comfortable shoes. Our Last Word, Have fun!